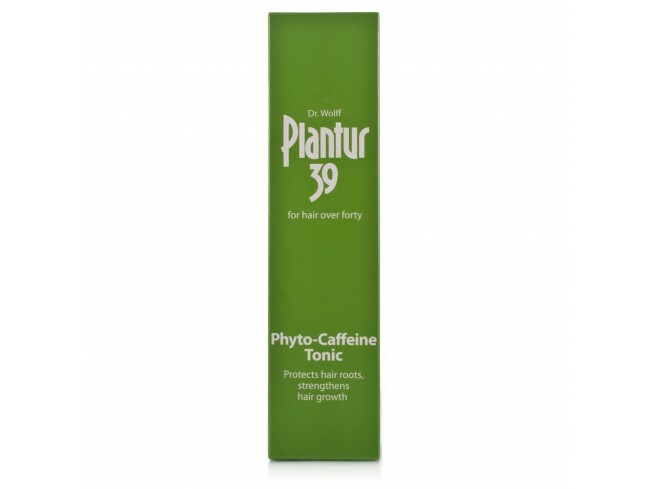 What does Plantur 39 do? In collaboration with the Dermatology Department of the Jena University Clinic, Dr. Wolff Research has developed an active ingredient complex that protects the hair roots from premature exhaustion of hair growth: a phyto-caffeine complex. You should begin no later than the onset of menopause. But even in your younger years, Plantur 39 can help protect the hair roots. This shampoo contains a small amount of hair conditioning agents to ensure that your hair style retains its volume. When washing, the active caffeine ingredient penetrates all the way into the hair follicle, which can be detected after being left on for as little as 120 seconds. A combination of natural wheat extracts and provitamin B5 condition, repair and protect coloured and stressed hair. The damaged hair structure is smoothed and the hair is provided with intensive shine. Using the dosage tip, apply once a day directly to the scalp and massage in evenly. Leave to dry briefly. Then brush hair and style as usual. Do not rinse out.